Why Breaking Up Isn’t Failure, It is the Courage to Continue that Counts. It probably comes as no surprise to learn that most couples marry with the best of intentions, often with a shared vision of a happy home, a few kids, and family dog. They also likely imagined going through all of life’s transitions together until they’re old and gray empty nesters. What they didn’t envision, though, is their relationship coming to a screeching halt, ending in what may feel like an epic failure. Relationships expire for a variety of reasons, such as affairs, work, mental struggles, or finances, to name a few. However, the most common (and, ironically, the most forgotten) reason a relationship ends is simply because it wasn’t meant to be. I acknowledge that to some, this concept may sound harsh, insensitive, or unconvincing – which is totally okay. My point is that there’s something greater than us (that is, the universe, spirit, etc.) working behind the scenes to guide us in discovering our life’s path. Recall two blogs ago when we explored the methodology of Discernment Counseling, a therapeutic technique designed to help couples reach a decision about their relationship. Sitting in a state of limbo can be maddening; making a decision one way or another allows us to become unstuck and to move forward. Couples frequently stay together long past their relationship expiration date out of a fear of failure – which is a story in our heads that requires a rewrite. When a couple decides to part ways, it’s important for both individuals to keep in mind that their marriage or relationship did not fail; it just wasn’t meant to be for them at that particular time. Rather than seeing it as a failure (by ourselves or society), it’s a time to reflect on the good things about the relationship, such as kids, grandchildren, global travel, or a successful business venture. It’s about being grateful for the time spent together. It’s about learning how to accept the situation. It’s about discovering how to move forward. Though it may be challenging to see in the midst of a divorce, splitting up can provide both parties with an opportunity for growth, expansion, learning, and appreciation – ideas that may never have surfaced while married or in a committed relationship. I’m aware that this “silver lining” thinking may sound foreign or unbelievable. 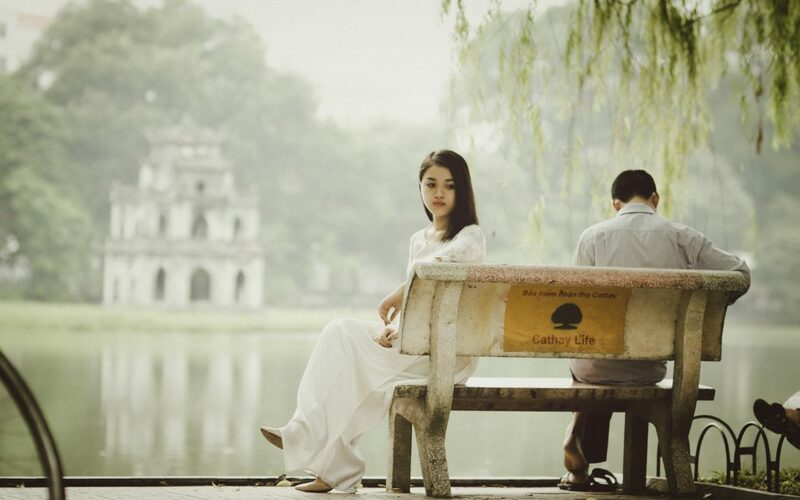 Of course the end of a marriage or relationship can be difficult, depressing, and debilitating – a vicious blend that can send us into the darkest places of our minds. A place that tells us we’ve failed. However, with the love and support from family, friends, and/or a counselor, we start discovering that’s anything but the actual truth. It’s the end of an era, indeed…but also the beginning of a new one.